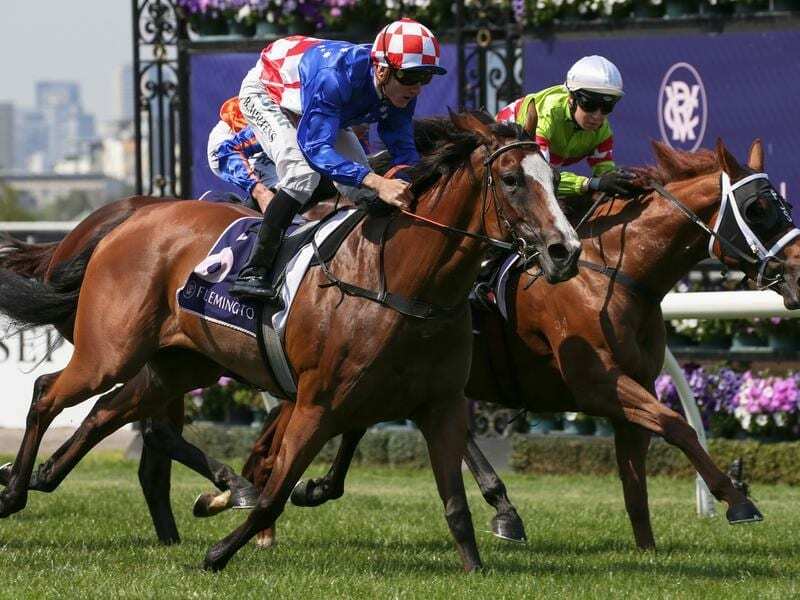 Former Western Australian mare Swift Sis has again defied her starting price to notch a second straight win at Flemington. The Pat Carey-trained Swift Sis finished strongly to score a narrow win over Miss Toorak Flyer as a $31 chance on March 2 before again sprinting to victory in Saturday’s Lexus Melbourne Cup Tour Trophy (1200m) after being sent out at $18. “I don’t make the market but if you followed her last start and this week you’ve done pretty well for yourself,” Carey said. Swift Sis had her first 22 starts in Western Australia before being bought by Tony Santic’s Makybe operation and transferred to Carey at Mornington in Victoria ahead of this preparation. The five-year-old has won twice, both at Flemington, from three starts for her new stable. “Joe Murray, Tony’s racing manager, he tells me he bought her online out of Western Australia for what we consider not a lot of money and I think he should take a pat on the back,” Carey said. With Beau Mertens aboard, Swift Sis settled at the back of the pack which came down the inside section of the straight track while favourite Clarice Cliffs was one of two horses to come down the grandstand side. Swift Sis had clear running on the outside of the inside pack and finished well to score by three-quarters of a length over Flying Krupt with a half-head to Mamzelle Tess third. Clarice Cliffs ($1.95) was fifth. “We’ll just try to find suitable races for her. Clearly she is on the improve,” Carey said.